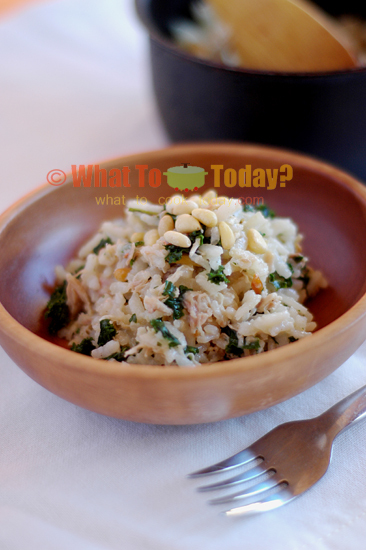 I got this chicken and kale risotto with pine nuts and bacon recipe from Start Fresh cookbook by Tyler Florence. A friend asked me to share recipes that Fiorina likes. It can be challenging cooking for toddlers (at least mine). Overall, she has gotten better. She eats pretty much most of the food I fixed her. There are days that she just doesn’t want to have anything to do with food (except for her yogurt). She has “kinda” started to accept chicken, still not too big on meat. I hope with more teeth in the future, that will change her mind. 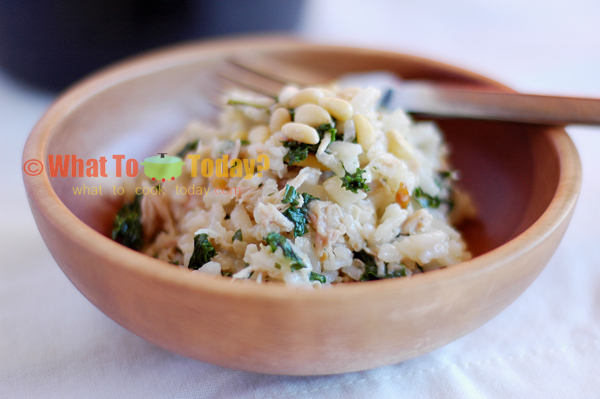 This was delicious and so easy to make! 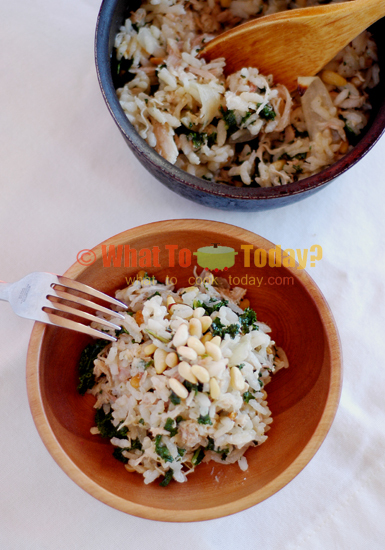 I substituted raw almonds as i had no pinenuts, and it was still lovely – although pinenuts would be devine. Thanks Diane. It’s our favorite too.